The universe is very good at making us feel both extremely insignificant and lucky enough to be part of something huge. No missions have made this clearer than NASA’s Voyager spacecraft, which have been exploring the cosmos for 40 years. Today, Voyager 1 officially turns the big 4-0, which it’s celebrating by cruising through interstellar space. Together, the Voyager missions have ventured past Jupiter, Saturn, the ice giants Neptune and Uranus, and even crossed the termination shock, into the outskirt’s of the Sun’s influence. These triumphant chunks of metal are still sending us back all sorts of scientific information and will continue to do so until they can’t/are swarmed by aliens. 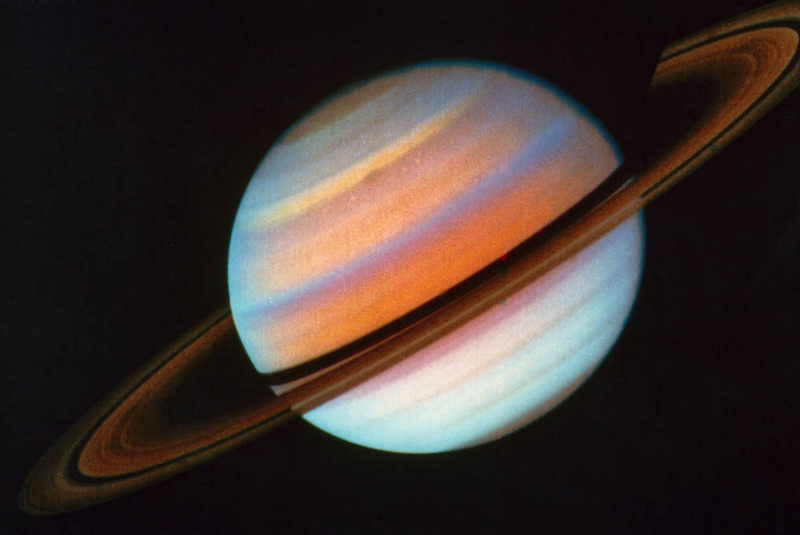 Voyager 2 took this incredible shot during its sojourn in the Saturnian system, while it was about 1.7 million miles (2.7 million kilometers) from the planet. Uranus in true and false color. Taken January 17th, 1986. According to NASA, Voyager 2 made its closest approach to Uranus a few days after this image was taken, on January 24th, 1986. 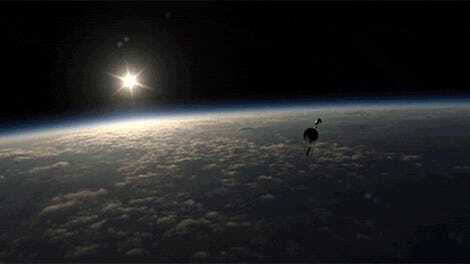 The spacecraft came within 50,600 miles (81,500 km) of Uranus. Neptune’s Great Dark Spot. Taken in August of 1989. 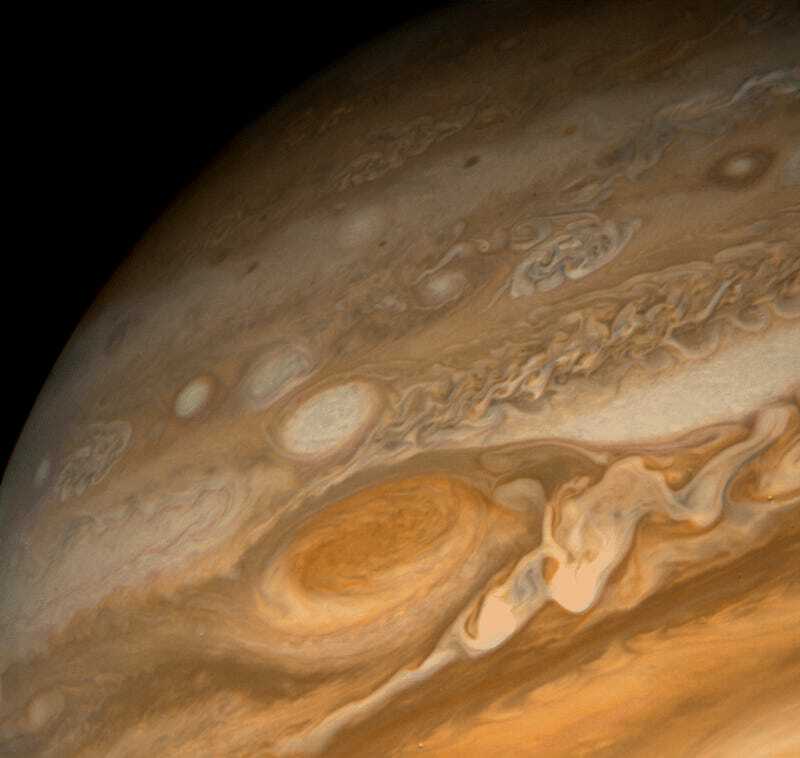 Voyager 2 spotted this massive storm that was somewhat similar in size to the Great Red Spot on Jupiter. In 1994, Hubble found that although this storm mysteriously disappeared—a new one had cropped up in the planet’s Northern Hemisphere. Mysterious, enormous storm systems have continued to crop up on Neptune ever since. Voyager 1 studied the Jovian system from January to February in 1979, famously capturing the horrifying beauty of a storm known as the Great Red Spot. This massive, hurricane-like weather pattern could fit three Earths inside it. Saturn and its moons, Tethys and Dione. Taken November 3rd, 1980. Voyager 1 arrived in the Saturnian system in November of 1980. It found three new moons on its trip: Prometheus, Pandora, and Atlas. And of course, the Pale Blue Dot. Taken February 14th, 1990 by Voyager 1. On Valentine’s Day in 1990, Voyager 1 took this image, now immortalized in Carl Sagan’s 1994 book of the same name: The Pale Blue Dot. At the time, Voyager 1 was 40 AU from the Sun, plunging forward but looking back at us. After all these years, we’re still that beautiful blue speck—our own little nest in the cosmos.